There are many criteria to consider, as you begin this kind of estate planning. Selecting the person who will be in charge, after you, is a very important decision. We suggest in-person interviews with professional fiduciaries in your area. We serve clients in San Diego, Riverside, Orange, and Los Angeles Counties. Read Estate Planning Group Network™ - "Who Needs a Professional Fiduciary" brochure. Staying in your home, no matter what? Having assistance, regardless of where you live? How do you picture the last ten years of your life? Not only will your Successor Trustee make decisions after you pass away, this responsible person will also help you while you live. You want to work with someone who is sensitive to your preferences, who has the resources to fulfill your requests, and who has the proper credentials, objectivity, and training. CPAs, Bank Trust Officers, and Attorneys are exempt from the current licensing requirements. This means these professionals are not required to have any Fiduciary training and often do not participate in Fiduciary continuing education. Licensed Professional Fiduciaries must continue their education in order to keep their licenses. Think of the protection you have now with your CPA, Financial Advisor, Banker, and Attorney being separate people. Each does his or her job for you, focusing on only his or her area of expertise. Each one is an advocate for you, the client. What if one of these professionals did more than one job for you (like your Banker, Financial Advisor, and Trustee all being the same entity, as in a Corporate Bank or Trust Company). Would there be a conflict? For instance, could the Bank's Trust Officer “fire” the Bank's Investment Department? Generally, your Attorney continues to represent you after you resign as Trustee and your Successor Trustee begins to work. Let’s say you don’t understand what your Trustee is doing or you have decided this Trustee is not for you and you would like to replace the Trustee. Your Attorney would represent you and help you find another more suitable Trustee. What if the Attorney who represents you and your interests (and drafts your estate plan documents) also becomes your Trustee? Who then would be your Advocate for removing the Attorney/Trustee? You can see why objectivity is such an important element in good trust administration. Really consider what is best for you and your family. Take the time to clarify and discuss plenty of “What If” scenarios with the professionals you work with, so you fully understand which professional will do what job when the time comes. For more information, you can click here. This link will take you to the California Department of Corporations, “Seniors Against Investment Fraud” Publications lists. We recommend “Preparing End-of-Life Paperwork”. ​Think about who you would select (or have selected) to serve you if you resign as Trustee of your Trust, become incapacitated (temporarily or permanently) or die. 1. Does my successor trustee have experience and expertise in handling finances? Good accounting and bookkeeping skills? Trust and Estate tax experience? 2. Is my successor trustee objective, responsive, and compatible with all beneficiaries of the trust and other members of my family? 3. Will my successor trustee be able to devote sufficient time to the management of the trust, unburdened by other obligations such as a job or a family? 4. Is my successor trustee also a beneficiary, causing a “Natural Conflict of Interest”? 1. Do you have a staff? How long have they been in your employ and have they had any specific training in Trust Administration? 2. Are you insured? What insurance company covers you for Errors and Omissions Insurance? How long have you been covered? 3. Do you belong to any professional organizations? Is there an ethics committee to which you answer? What continuing education do you participate in? 4. Are there other professionals who would recommend you? May I speak to them? 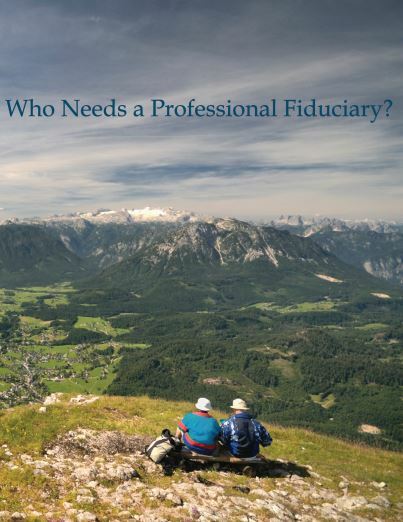 Lorenz Fiduciary Services, Inc., provides a complete range of services to our trust clients.